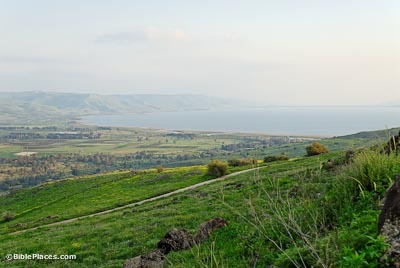 The northeastern shore of the Sea of Galilee is a fertile plain where the feeding of the 5,000 likely took place. 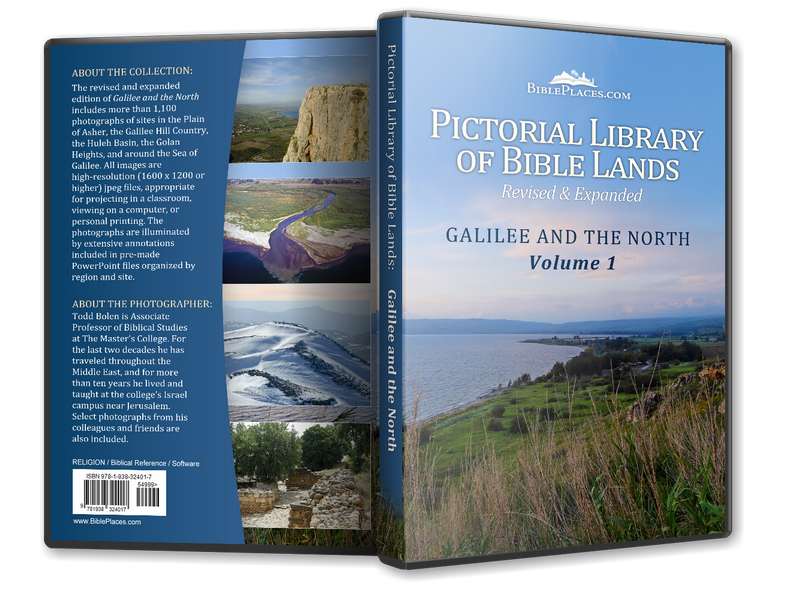 Israeli maps and excavators currently locate the New Testament city of Bethsaida at an ancient ruin known as “et-Tell.” The excavation team, headed by Rami Arav, is insistent that this site be identified with ancient Bethsaida. Others suggest that Bethsaida may be better located at el-Araj near the lakeshore. 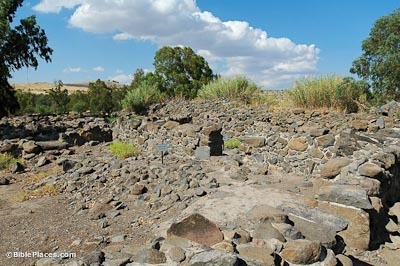 Lack of buildings from the New Testament period. After 30 years of digging, excavators have identified only one Roman period house and another building they identify as a Roman temple. This latter identification is dubious. In short, there is little to commend this site as being the Bethsaida mentioned by Josephus and the Bible. For more of the excavators’ perspective, see the links below. For more evidence against this identification, see Rainey and Notley, The Sacred Bridge, pp. 356–59. 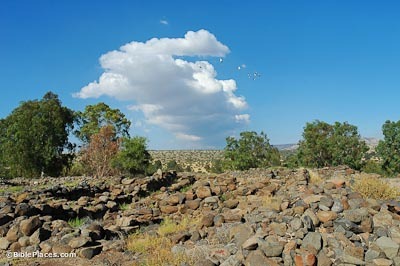 The most impressive remains at this site are the Iron Age gate and two large Hellenistic houses. The House of the Fisherman measures 4,300 sq. feet (400 sq m), and is believed to be a fisherman’s home based on the discovery of two types of lead net weights, a round lead weight of the so-called musket type, and a long, crooked needle. Among the coins discovered in the house were two silver didrachmae of Demetrius II. This house (2,700 sq ft; 250 sq m) included an undisturbed wine cellar with four complete Hellenistic jars. In addition, a gold earring with the picture of an animal was found, as well as numerous examples of expensive imported vessels. A hook and some anchors were found in the house, as were three iron sickles. 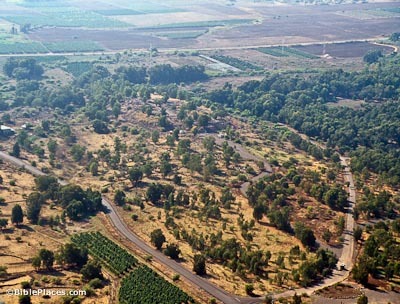 The feeding of the 5,000 most likely took place on the Plain of Bethsaida. 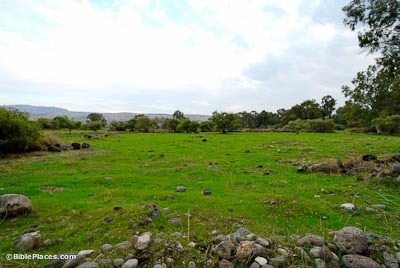 Mark 6:30 says the feeding took place at a “solitary place” and verse 39 says that the people sat down on “the green grass.” After this, however, Jesus made his disciples “go over to Bethsaida.” About 5 square miles (8 sq km) in area, the Plain of Bethsaida is very spacious and is crisscrossed by streams, aqueducts and irrigation canals. There are many flat hills on which it would be possible to seat large numbers of people. The Lost Home of Jesus’ Apostles Has Just Been Found, Archaeologists Say (Haaretz) Recent report of excavations at el-Araj, including the discovery of a Roman bathhouse.